In 1951 Blue Note issued their first vinyl 10" releases, and the label was soon recording new talent such as Horace Silver (who would stay with Blue Note for a quarter of a century), the Jazz Messengers (originally a collaboration, but soon to become Art Blakey's group), Milt Jackson (as the leader of what became the Modern Jazz Quartet) and Clifford Brown. Rudy Van Gelder recorded most Blue Note releases from 1953 until the late sixties, and his often-praised engineering was, in its own way, as important and revolutionary as the music.Another important difference between Blue Note and other independent labels (for example Prestige Records, who also employed Van Gelder) was that musicians were paid for rehearsal time prior to the recording session: this helped ensure a better end result on the record. Producer Bob Porter of Prestige Records once said that "The difference between Blue Note and Prestige is two days' rehearsal." Organist Jimmy Smith was signed in 1956, and performed on the label's first 12" LP album of new recordings. The mid to late 1950s saw debut recordings for Blue Note by (among others) Hank Mobley, Lee Morgan, Herbie Nichols, Sonny Clark, Kenny Dorham, Kenny Burrell, Jackie McLean, Donald Byrd and Lou Donaldson. Sonny Rollins recorded for the label in 1956 and 1957 and Bud Powell briefly returned. John Coltrane's Blue Train, and Cannonball Adderley's Somethin' Else (featuring Miles Davis in one of his last supporting roles) were guest appearances on the label. Blue Note was by then recording a mixture of established acts (Rollins, Adderley) and artists who in some cases had recorded before, but often produced performances for the label which by far exceeded earlier recordings in quality (Blue Train is often considered to be the first significant recording by Coltrane as a leader). Horace Silver and Art Blakey and the Jazz Messengers continued to release a series of artistically and commercially successful recordings. The early 1960s saw Dexter Gordon join the label. Gordon was a saxophonist from the bebop era who had spent several years in prison for narcotic offenses, and he made several albums for Blue Note over a five-year period, including several at the beginning of his sojourn in Europe. Gordon also appeared on the debut album by Herbie Hancock - by the mid 1960s, all four of the younger members of the Miles Davis quintet (Hancock, Wayne Shorter, Ron Carter and Tony Williams) were recording for the label, and Hancock and Shorter in particular produced a succession of superb albums in a mix of styles. Carter did not actually record under his own name until the label's revival in the 1980s, but played double bass on many other musicians' sessions. Many of these also included Freddie Hubbard, a trumpeter who also recorded for the label as a leader. One of the features of the label during this period was a "family" of musicians (Hubbard, Hancock, Carter, Grant Green, Joe Henderson, Kenny Dorham, Lee Morgan, Blue Mitchell, Hank Mobley and many others) who would record as sidemen on each other's albums without necessarily being part of the leader's working group. In 1963 Lee Morgan scored a significant hit with the title track of The Sidewinder album, and Horace Silver did the same the following year with Song for My Father. As a result, Lion was under pressure by independent distributors to come up with similar successes, with the result that many Blue Note albums of this era start with a catchy tune intended for heavy airplay in the United States. At the end of the 1950s, and in the early 1960s, Blue Note headquarters were located in New York City, at 43 W 61st Street and at 47 W 63rd Street. Blue Note was acquired by Liberty Records in 1965 and Lion, who had difficulties working within a larger organization, retired in 1967. Reid Miles' association with the label ended around this time. For a few years most albums were produced by Wolff or pianist Duke Pearson, who had filled Ike Quebec's role in 1963, but Wolff died in 1971 and Pearson left in the same year. George Butler was now responsible for the label, but despite some good albums, the commercial viability of jazz was in question, and more borderline and outright commercial records were made (often by artists who had previously recorded "straight" jazz for the label - Bobby Hutcherson, Lou Donaldson, Donald Byrd, Grant Green, Horace Silver). At the end of the 1960s, the company headquarters were moved to 1776 Broadway. EMI purchased United Artists Records in 1979, which had absorbed Liberty Records in 1969, and phased out the Blue Note label which lay dormant until 1985, when it was relaunched as part of EMI Manhattan Records, both for re-issues and new recordings. Some artists previously associated with Blue Note, such as McCoy Tyner made new recordings, while younger musicians such as Joe Lovano, John Scofield, Greg Osby, Jason Moran and arranger / composer Bob Belden have established notable reputations through their Blue Note albums. The label has also found great commercial success with the vocalist Norah Jones, and released new albums by established artists on the fringes of jazz such as Van Morrison, Al Green, Anita Baker and newcomer Amos Lee, sometimes referred to as the "male Norah Jones". Two of the leading trumpeters of the 1980s Jazz Resurgence, Wynton Marsalis and Terence Blanchard signed with the label in 2003. Blue Note has also pursued an active reissue program in recent years. Bruce Lundvall was appointed to oversee the label at the time of the revival and Michael Cuscuna has since worked as freelance advisor and reissue producer. Some of Blue Note's output has appeared in CD Box sets issued by Mosaic Records (also involving Cuscuna), and there has been a series of reissues of older material, much of it in the "RVG series", remastered by Rudy Van Gelder. 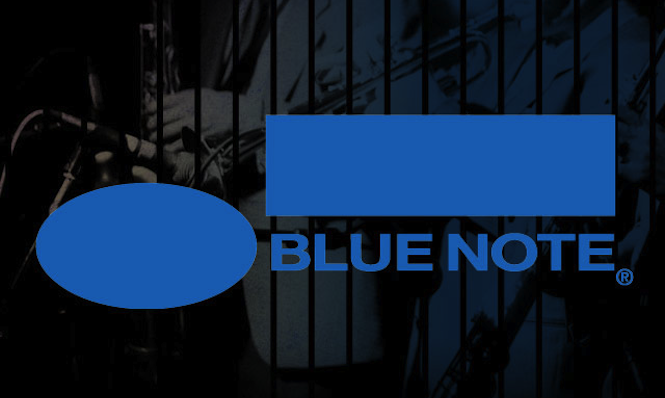 Blue Note Records became the flagship jazz label for Capitol Jazz and Classics and was the parent label for the Capitol Jazz, Pacific Jazz, Roulette and other labels within Capitol's holdings which possessed a jazz line. 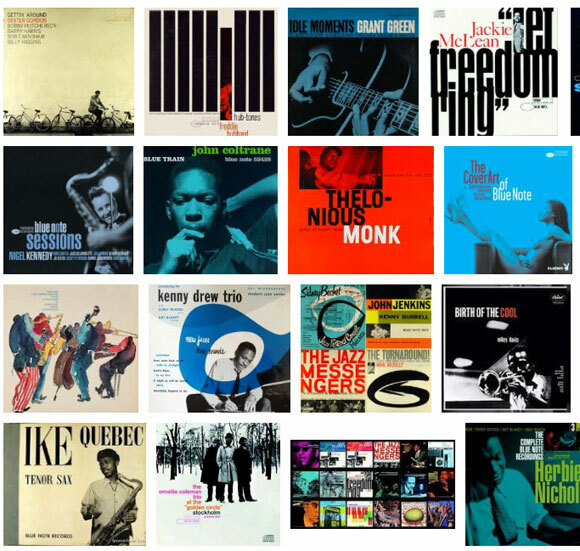 In 2006, EMI expanded Blue Note to create the Blue Note Label Group by moving its Narada group of labels to New York to join with Blue Note, centralizing EMI's approach to music for the adult market segment. The labels newly under the Blue Note umbrella are Angel Records, EMI Classics and Virgin Classics (classical music), Narada Productions (contemporary jazz and world-influenced music, including exclusively licensed sub-label Real World Records), Back Porch Records (folk and Americana), Higher Octave Records (smooth jazz and New Age music), and Mosaic Records (devoted exclusively to reissuing jazz recordings in limited-edition boxed sets). As of June 2007, Bruce Lundvall, founder of Manhattan Records, continued as President/CEO of the Blue Note Label Group, at the time reporting directly to Eric Nicoli, then Chief Executive Officer of EMI Group. In 2008, The Blue Note 7, a jazz septet, were formed in honor of the 70th anniversary of Blue Note Records. The group recorded an album in 2008, entitled Mosaic, which was released in 2009 on Blue Note Records/EMI, and toured the United States in promotion of the album from January until April 2009 The group consists of Peter Bernstein (guitar), Bill Charlap (piano), Ravi Coltrane (tenor saxophone), Lewis Nash (drums), Nicholas Payton (trumpet), Peter Washington (bass), and Steve Wilson (alto saxophone, flute). 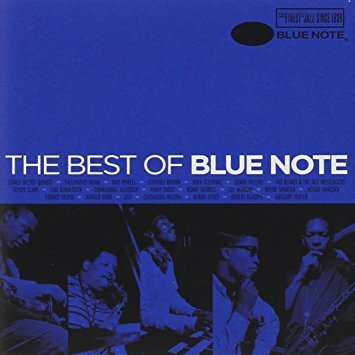 The group plays the music of Blue Note Records from various artists, with arrangements by members of the band and Renee Rosnes. Hip-hop producer Madlib recorded Shades of Blue in 2003 as a tribute to Blue Note. The album features samples recorded by the label throughout. Many Blue Note albums are considered among the finest in all of jazz. In the awarding of special crowns for the Ninth Edition of the Penguin Guide to Jazz, eight out of 80 totals are Blue Notes. In the same guide, out of its 213 recordings given status of "core collection," 27 are on the Blue Note label. There has been much sampling of classic Blue Note tracks by both hip hop artists and for mashing projects. In 1993, the group Us3 designed the entirety of its debut album upon samples from classic Blue Note records. In 2003, hip-hop producer Madlib released Shades of Blue: Madlib Invades Blue Note, a collection of his remixes and interpretations of Blue Note music. Pete Rock, J. Dilla, and DJ Spinna have likewise been involved in similar projects. Burning Vision Entertainment created the video for Helicopter Girl's Angel City using the art from numerous Blue Note LP sleeves to startling effect. In 2008, hip-hop producer Questlove of The Roots compiled Droppin' Science: Greatest Samples from the Blue Note Lab, a collection of original Blue Note recordings sampled by modern-day hip-hop artists such as Dr. Dre and A Tribe Called Quest. Rashid Booker "The Jazz Afrcionado"
by rashid booker "The jazz aficionado"